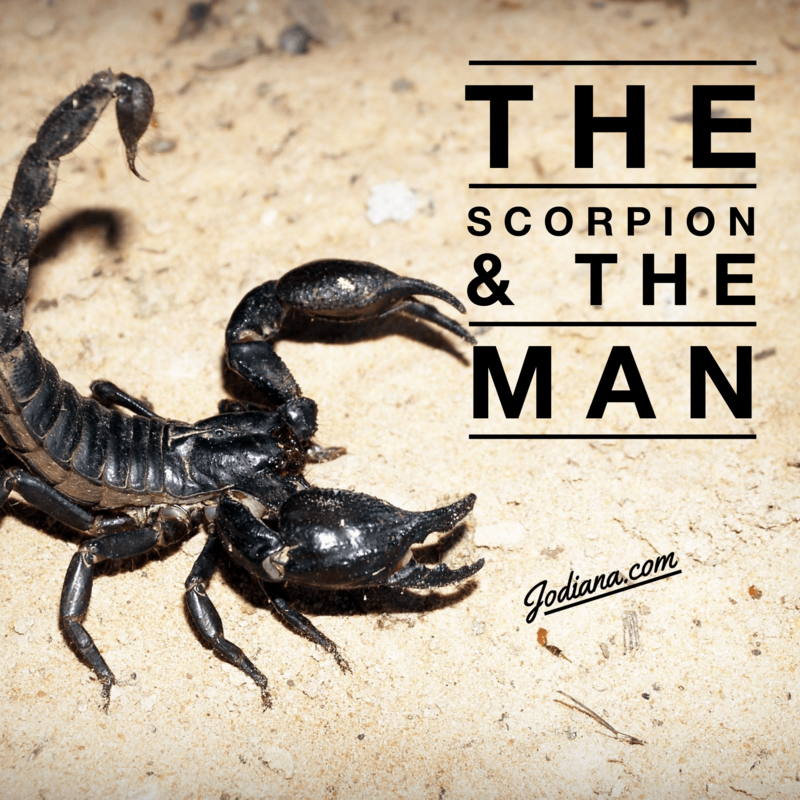 This week I feel inspired to share a story about a man and a scorpion, demonstrating why people hurt us and what we can do about it. One day, a father sat by the river while his son played near by. He saw a scorpion drowning. He reached in to help the scorpion, but the scorpion stung him. He yanked his hand back in pain. Still, the father reached in again to save the drowning scorpion – and again – the scorpion stung him. His son ran over to him. The father then found a nearby leaf and offered it to the drowning scorpion. The scorpion climbed on the leave and the man set him free on the ground. Sometimes, those we love will sting us and hurt us, when they are acting from a place of instinct. Our instincts are built into our nervous system to instill safety mechanisms so we can protect ourselves from harm. And sometimes these instincts are wired in a way that can cause us to feel like someone is hurting us, when indeed, they are not. When we act from these instincts, we can hurt the ones we love the most, because our vision is skewed and – often times – we do not even realize our vision is skewed. The scorpion was drowning and in a state of fear. It’s natural instinct was to lash out, as it was petrified and not in a state of harmony with life. This does not mean the scorpion was wrong, or that it deserved to be punished. It simply means the scorpion was trying to save itself, the best way it knew how. If we are acting like the scorpion, we are not to punish ourselves for the way we are. We simply become aware of it, acknowledge it, learn from it, and do better next time. How have you acted like a scorpion in your life? What was this situation here to teach you? What can you do next time to become more like the man? Sometimes we help others and they hurt us. When they hurt us, that does not mean we have the right to punish them. Instead, we must have compassion and understand that they are acting from a place that is not in harmony with life (fear, anxiety, stress, etc) and their True Nature. Because their consciousness is skewed by life turbulence, they may not even understand that they are hurting us. Their focus is merely on self-preservation. Yet if we remain in the True Nature of the heart and view the scorpion from a place of compassion, while protecting ourselves, we can still help the scorpion and possibly even set him free. In that helping, the world becomes a better place. It is not our True Nature to act like the scorpion, though some fall into this trap when hurt. programmed to do in order to protect himself and survive. He knows no better. I believe this is what the great Awakened Master, Jesus, meant when he said, “Forgive them Father, for they know not what they do”. Who has hurt you lately? Do you think they were acting from their instinctual self, like the Scorpion? Is it possible, then, to understand that this person was merely acting on instinct in order to protect himself or in order to survive? That maybe, somewhere in the game of life, this person has been in turbulent water enough to skew his perception to cause him to do things from a place that is not in harmony with life? And from this understanding, is it possible, then, to find forgiveness? If not, then what can you learn from this situation? And what can you do next time to protect yourself better? If this post was helpful, please like and share. Blessings and love to you – and to your life of Health and Bliss!